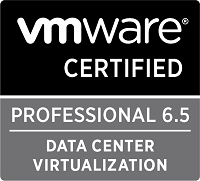 This month we started our upgrade journey from vSphere 6.0 -> 6.5 in production. We have had 6.5 running in lab for some time after the release last fall and we have enjoyed it so far. As a part of this upgrade we plan to migrate to the vCenter appliance on both PSC’s and vCenter’s as this has gotten all functionality (i.e. Update Manager), and it scales to the same extent as the Windows one. 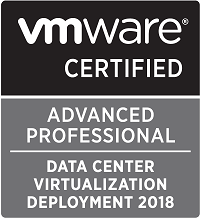 With the 6.5 release, even though it might not be an official VMware statement, I believe that the appliance is priority for VMware going forward and that the Windows version will eventually die (like the C#/Flash client story) so it seems that it would be wise to make the switch now. Please be aware that if you upgrade your Windows vCenter 6.0 to Windows vCenter 6.5 you will not be able to migrate to a 6.5 appliance (https://kb.vmware.com/selfservice/microsites/search.do?language=en_US&cmd=displayKC&externalId=2147548). VMware have lots of material on planning and performing the upgrade / migration. One resource which have been published lately is this blog post by Emad Younis which have lots of great info and lots of links and references to other resources. Copy the installer image to both the workstation where you initiate the migration, and the existing Windows PSC server. Start the installer on your workstation. This process deployes the appliance in your environment. You will need to give it a temporary IP which will be replaced with the active PSC IP when the migration is done. 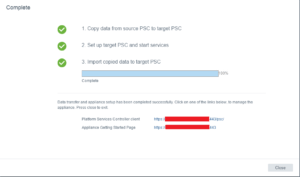 Note that you might want to rename the original PSC in vCenter prior to the migration as you will want to keep your PSC name after the migration. The PSC migration process has been pretty successful and painless in our environment. We had one glitch with authentication as the new PSC appliance machine accounts didn’t have access to some Active Directory service accounts used to authenticate to the vSphere environment. Also we had to create static DNS records for our PSC’s as the original records from the Windows PSC’s expired.